Grow your business, the Rich way. Two million small businesses in the US share one common denominator ; over the life of the business they will need to seek capital for growth. Nearly 67% of all businesses, regardless of size, borrow money from traditional sources, such as banks. In addition to his role as “Coach to The Best” and bank financing advisor, he is an expert on positioning business for resale. Rich helps business owners maximize their exit strategies and make the best possible acquisitions for growth. Since his first small business loan, Rich and his team have helped over 50 companies “wow” banks and exceed their expectations in obtaining the best possible terms, interest rate, size of loan, deal structure, and covenants. Using his 14-point process, tutelage, and guidance, Rich’s clients obtain more money, with better terms, and less restrictive covenants. He has a near 100% success rate in acquiring capital. Why? Not to brag (well, maybe a little) but he knows what he’s doing. He knows what it takes to make banks compete and say yes. The loan packages he helps create have all the required financial documents, background information on the industry, company, and key personnel, as well as a marketing plan, and the critically important financial projections that help banks get to yes. Although access to capital can be the key to operating and growing a successful company, securing it can be intimidating and unnecessarily difficult. Most companies only shop one bank and settle for the first offer they receive. Banks know this, and often play takeaway with their initial term sheet and their final commitment letter. By shopping 10 banks you keep banks honest and competitive. A bank that wants your business will compete for it. This increases the odds and the speed of securing a loan that meets YOUR company’s needs. The simple equation for success in acquiring capital is a great loan package and oral presentation. A great loan package serves as an ongoing “financial Swiss Army knife” and a valuable tool for growing your business. It can also “sell” and inspire company stakeholders, including bankers, strategic partners, vendors, current and potential advisory board members, employees and recruits in the future. The right loan package will clearly outline your company’s future plans, current status and history, as well as potential business challenges, opportunities and tactics. Rich’s clients tell him that the greatest value they receive, even more than acquiring necessary capital, is a clear strategic action plan that spells out the steps, capital, timelines, and resources needed to achieve their goals. As CEO of an award-winning service organization, I’ve learned how essential it is to have a solid financial team and systems in place to help guide my decisions. Rich provides creative approaches and practical solutions to help entrepreneurs make sure their financial operations serve as a solid foundation upon which to launch their endeavors. I have heard that Rich was good to help entrepreneurs get bank financing and I called him and said, “I have a tough situation and I want to know if you can help me… I am a Mexican national, just moved to the US to start a mortgage company and don’t have any credit in the US and I want to get a $3 million line of credit to buy houses and finance them to undocumented Hispanics in Texas… can you help me get the loan? First do a super loan package that surprises any loan officer and answer any question they can possibly have. The loan package has to be done like a loan officer would do it to present it to the loan committee. Shop until we drop… get 10 banks to come to your office in a week to see our loan package and presentation. 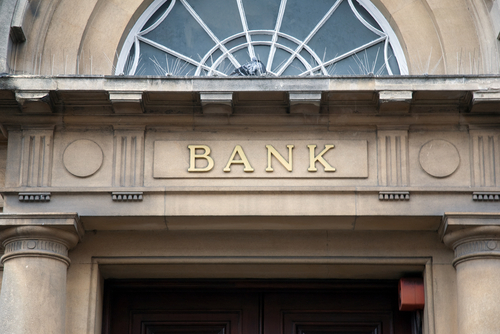 Give a detailed follow up and negotiation with each bank that keeps the door open. If we follow these steps diligently we have a good chance of getting it. 45 days later we had $2.5 million dollars in lines from 2 banks!!!! Having Bottom Line Up’s process for dealing with bank financing has been invaluable… after narrowing down to my top three banks and having offers from each, I looked over at my new potential banker, told him about the other offers and that they were ½ a point lower, he quickly looked down at the paper and said… ‘oh, sorry… that must have been a typo’ then put in the new rate saving me thousands of dollars! The loan package you created was so comprehensive that we actually secured a significantly higher line of credit than we were originally seeking because of it. Your experience and guidance has been invaluable. We couldn’t have done it without you. Rich is an expert in getting the best deal for business lending. I would recommend to anyone wishing to get business loans. I am an international serial entrepreneur. Whenever I start a new enterprise that needs capital I immediately turn to Rich for guidance on acquiring financing and to critique and in many case drastically alter my business model. He is my secret sauce and is a master in both areas. Read this book and you will understand why. Rich helped guide our company through some very rough financial times in 2009 and 2010. I will always be grateful for his wise counsel and expertise. But more importantly, I will always remember his kindness and friendship when we needed it most! James E. (JB) Bleckley, Jr.
A great deal of credit for our success goes to Richard. When Richard and I first started working together my goal was focused on growth alone. Richard helped me realize this both in terms of setting specific strategic goals and building the infrastructure to reach them. We grew so much/so quickly that I/we weren’t fully prepared to handle it. Our history is the best evidence of a growing practice whose cash flow hadn’t yet caught up the increased case load. Last September we had banks fighting to lend us $$$ during the exact time that Wall Street went South, i.e. we did this during the proverbial perfect storm. Why? Because Richard put together a financial presentation that blew everyone away. We had a binder that looks like the Manhattan telephone book. Our business grew from $ 1 million to $ 12 million in 4 years. We had marquee Fortune 50 clients. We had no debts. We were aware that we might need additional working capital of $ 1 million for the next year’s growth. I approached my Bank and asked for a line of credit. They refused to lend. They said that they could not even lend us $ 100,000 – so, forget about asking for $ 1 million. The Bank was plain rude. They did not care that we banked with them from the time we started our business. We hired the services of Richard Russakoff and his team. We explained to them that the money may be needed in 3 months. They looked at our books and verified the numbers. I still recall what he said immediately after looking at our numbers “You will get a line of more than $ 1 million. Your own bankers will beg of you to borrow from them”. Yeah, right, I thought. However, after 3 months and several meetings with 8 different local banks, we had short listed 2 banks whose terms we liked. One of the two was my own banker. I rejected them and signed on the term sheet with the other bank for $ 1.25 million!! It felt great. Our business growth plan was fully funded. More importantly, I said “no” to my bank. Their approach was such that each of the banks actually agreed that we should have that line of credit. Richard is no-nonsense, sharp and wise. He has an uncanny knack of understanding the quirks of different businesses (from manufacturing to legal services to software consulting). He is well traveled and understands global markets, cultures and business trends. His integrity is beyond reproach. When you hire him, it is like you have another business partner. Btw, we finally sold the business for over $ 25 million. If we did not have their professional help at that critical stage, we could not have achieved our goals. President, International Software Consulting, Inc.
At the end of the seminar, numerous DOD and DISA officials mentioned that your sessions were informative, enjoyable, and on target with what the protégés needed to hear. The protégés stated that you have helped them to think strategically when attempting to secure financing. Other protégés told me that you gave their business for financial success.